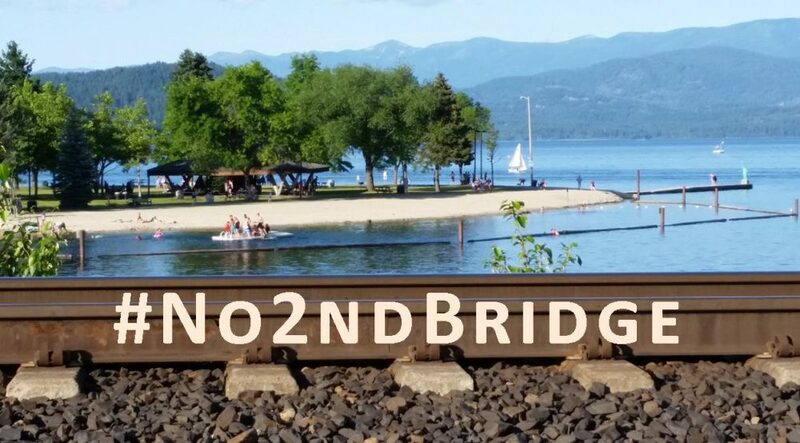 We have rescheduled the twice-monthly Wild Idaho Rising Tide (WIRT) potluck/pizza meetings in July, due to the Fourth of July holiday and July/August WIRT availability in Sandpoint. Please join WIRT activists at 7 pm next Thursday, July 9, at The Attic, up the back stairs of 314 East Second Street in Moscow, Idaho, and at 7 pm on Saturday, July 18, at Second Avenue Pizza, 215 South Second Avenue in Sandpoint, Idaho. WIRT and allies are scheming multiple summer events expanding the movement against extreme energy, through powerful convergences, training camps, and direct actions for a livable future. Please visit often the constantly updated Events Calendar on the WIRT website and/or contact WIRT for the descriptions, logistics, carpools, and directions to climate justice activities in the inland Northwest region . Get involved in emerging, grassroots, fossil fuels resistance and solidarity with our comrades across the continent, confronting the root causes of climate change! State Oil and Gas Lease Auction Postponed (Again)! Throughout 2015, WIRT has been promising, preparing for, and posting about our planned protest of the next auction of oil and gas leases on state lands and minerals by the Idaho Department of Lands (IDL). The IDL website now notes that “this [July 1] auction has been postponed [for the fourth time this year (January, April, June, and July)!] until the fall of 2015, with an exact date to be determined [October 21, 2015?]. Information on the auction is subject to change.”  Idaho has leased none of its public holdings for oil and gas exploitation this year! Drilling Unit Integration Applications Stalled! At a public auction in Boise, Idaho, on Thursday, May 28, the U.S. Bureau of Land Management (BLM) leased 6,349 acres in the Little Willow Creek watershed in Payette County for oil and gas exploration drilling [6, 7]. A lone Wild Idaho Rising Tide protester clad in an organizational T-shirt attended the auction, confronting the BLM with every question she could muster, witnessing possibly rigged, procedural discrepancies, and learning that allies had filed complaints of which few people aware . After over an hour of these skirmishes, the bidders took their seats to vie for five parcels composed of 997 BLM acres and 5,352 split-estate acres of privately owned lands underlain by BLM subsurface minerals. Bidder 2, Thana Kauffman, accompanied presumably by her husband, Randy, who constantly whispered bidding guidance, sat in the front right corner of the wide, rectangular seating. Bidder 3, a female representing Reagan Smith Energy Solutions with a male companion, sat in the rear right corner. About 25 people dozed in the audience, through all five extended bidding processes, mostly unaware of the bidders’ identities. Ex-Halliburton fracking lobbyist and Alta Mesa vice president and attorney John Peiserich, Alta Mesa spokesman John Foster, and recognizable Idaho Department of Lands staff and industry officials seemed to surround and box-in the lone WIRT protester on the far right side of the room, away from other participants. The auctioneer progressively increased bids by $1 increments for Bidder 2, the Kaufmanns, and in $5 increments for Bidder 3, who kept winning the first four offered leases. Bidding proceeded predictably in this way between Bidders 2 and 3 lifting their green, numbered cards, starting at $2 per acre on each lease parcel, and progressing up (and down!) in increments of one and five. Apparently in a rush to sell off public lands and minerals, after parcel A went for over $300, the auctioneer suggested that bids start at $300 instead of $2, to which everyone laughed in response. He tried this tactic again with later parcel bids, but Bidder 3 seemed seriously intent on following the arduous process. Several times, the male auctioneer accidentally fell back into a lower hundred range, and audience members had to remind him where he was in terms of dollar amounts. He started writing down the progression of bids. Overall, the five leased BLM tracts went for higher prices than parcels provided at WIRT-witnessed state oil and gas lease auctions. Bidder 3, then-unknown Reagan Smith Energy Solutions, secured and bought the first four parcels auctioned off: Parcel A for $306 per acre, B for $545 per acre, C for $770 per acre, and D for $665 per acre . Inexplicably paying a dollar more per acre ($771) for Parcel E than the highest Reagan Smith bid, the Kauffmans, Bidder 2, reacted somewhat ingenuously to their winning bid with, “Yes, finally!” Although “Alta Mesa currently has a lease agreement with the Kauffmans and owns two wells on their property” up Little Willow Road, Thana purportedly purchased her newly leased BLM land as a personal investment, not planning to partner with Alta Mesa to drill it (Yeah, right!) . Altogether, the BLM sold the five parcels for a total of $3.87 million dollars. Although Alta Mesa has drilled eight oil and gas wells in the Little Willow Creek drainage and near its Payette River outlet, its most recent well and drilling application have both fizzled. All except one previously drilled well remain inactive, awaiting completion of gathering lines, a pipeline, and a gas processing facility on U.S. Highway 30 south of New Plymouth. Despite the high costs of new, unused infrastructure, the currently low market price of oil and gas, and the downward spiral of Alta Mesa’s investment ratings, the company has been hustling the BLM since early 2014, to lease and drill 187 acres of BLM split estates within a square, mixed ownership, 615-acre unit up Little Willow Creek. Although the BLM hopes “to prevent uncompensated drainage of the federal minerals on those lands,” it could not lease that property to Alta Mesa, who would pay government royalties on extracted minerals, until the federal agency conducted an environmental assessment . Meanwhile, Alta Mesa twice requested that the Idaho Oil and Gas Conservation Commission omit the BLM lands from its targeted drilling unit. The commission denied Alta Mesa in September 2014, and then postponed its decision in October 2014, requiring Alta Mesa to provide more information about the gas reservoir in question. But the speculative natures of the southwest Idaho gas field, Alta Mesa’s exploratory efforts, and the entire, post-peak oil and gas industry prevent accurate assessments of the potential viability of dirty energy ventures in Idaho. Without drilling, no one can know the exact size and shape of a gas entrapment. Exploration in the 1930s, 1950s, and 1980s found nothing noteworthy in the area, except lignite, dry holes, and a few blow-outs. Most oil and gas companies and geologic research have neglected this Idaho play before the advent of advanced, available fracking technology. But the state of Idaho, some of its more mercenary citizens, and relentlessly desperate fossil fuel perpetrators perceive only substantial financial benefits from these risky enterprises. Previously overlooked Idaho gas fields are now primed to drill, and whatever finds result, Idahoans can expect to know little about the escalating situation and its enormous, unfavorable odds and to ultimately pay for the boom and bust with their tax dollars and contaminated air, water, and agricultural lands. As reiterated at the May 28 auction, the BLM environmental assessment, published in December 2014, concluded that the BLM could offer leases but could not allow surface or subsurface occupancy until completion of its Four Rivers Resource Management Plan. Thus, Alta Mesa, Reagan Smith, and the Kauffmans cannot drill into the five leased parcels from above or at an angle from nearby holdings, while the BLM Four Rivers office finishes its document over the next year. At the auction, WIRT also learned more about the endeavors of our allies, dismissive of direct action confrontations while they work through the system, until they predictably lose on their written “protests” and possible, subsequent appeals. The BLM announced at the beginning of the auction that it would resolve two such protests within 60 days and that its decisions could affect final leases. Wildlands Defense, on behalf of Idaho Concerned Area Residents for the Environment and Brett Nelson, and WildEarth Guardians filed complaints on March 30, 2015 [11, 12]. The BLM denied both protests on June 10 and advised the groups on their rights to appeal. This entry was posted in Idaho Fracking, Newsletters by WIRT. Bookmark the permalink. Drilling and putting cancer-causing agents into our water table is dangerous, and our governor is allowing the mineral rights to be auctioned to Alta Mesa. At all costs, we citizens need to band together and call on our legislators and city council members and commissioners to count the costs of such dangerous actions against Idahoans. Please become informed and help stop this!